"friday-lunch-club": "Israel's Kill List = Scuttling the Iran deal!" "Israel's Kill List = Scuttling the Iran deal!" Foreign Policy"... According to his Aman file, Lakkis was active in the radical Shiite movement since age 19, enlisting shortly after it was established. He had a certain amount of technical education at a Lebanese university, but most of his skills were acquired from his experience in developing and manufacturing weaponry. Almost from the outset he was the top procurement officer and coordinator with Iran on these matters. Thanks to his efforts, Hezbollah became the most powerful terrorist organization ever with "firepower that 90 percent of the countries in the world do not have," according to Dagan. The formula was a success. In the summer of 2006, Israel lost its war with Hezbollah, thanks, in part, to fortifications equipped with advanced gear like communications, command-and-control systems, and night-vision optics -- all of which Lakkis played an important role in acquiring. In effect, it was Israel, the strongest military force in the Middle East, that was badly defeated, failing to achieve any of the goals it had set itself. Hezbollah was quick to point the finger at Israel; Israel was quick to deny the attack. If indeed the assassins belong to some elite intelligence organization, by now they are most likely to be out of Lebanon, away from Hezbollah's grasp. But this tactical success -- if you can call it that -- is not necessarily a strategic one in the Middle Eastern political arena. To play assassin is to challenge history outright. Some hit jobs proved effective in changing reality, but not all changed it in the manner the perpetrators had hoped for. Take the 1992 assassination of Hezbollah Secretary-General Abbas al-Musawi. 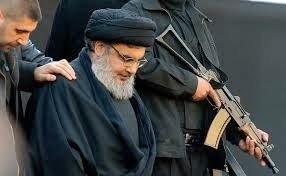 Retaliation attacks on Israeli and Jewish targets after his death cost dozens of lives, and the more radical and more effective Hassan Nasrallah took over as the organization's leader..."